When you move another one of your characters, this card gets +1 power until the end of the turn. 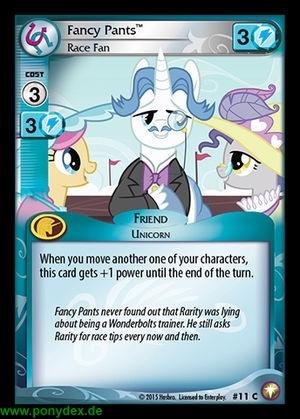 Fancy Pants never found out that Rarity was lying about being a Wonderbolts trainer. He still asks Rarity for race tips every now and then.